I tried the bow making thing. And, tried again…and I’m just too impatient. And too lazy to get everything out. So, I was pumped when Anne Marie from Loopsie Daisy Bows contacted me. 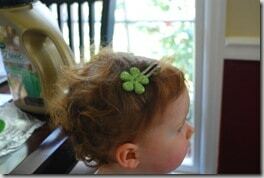 #1’s hair is really getting is really getting long and she’s liking putting bows in it. And, of course, whatever #1 does, #2 wants to do, too (even with her short hair. I am a thirty-something stay-at-home mom to two lively little girls. I’ve always loved anything GIRLY! When my first daughter was born, the bow obsession began! After buying some bows, I decided I could create some myself. I love being crafty and putting together new patterns and designs. 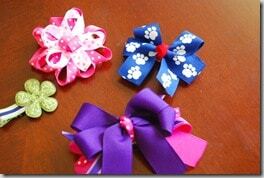 I welcome any custom orders and hope that you will treasure these bows as much as I do. The bows? They arrived in a little bag, hand-tied bag all ready to go. They are super super cute. And each of the bows with alligator clips had “no slip” grips that worked. 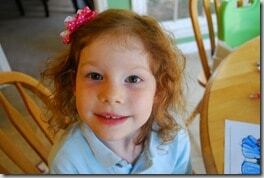 The bows actually stayed in #2’s hair unlike so many others we’ve had. I was worried that the alligator clip actually wouldn’t be enough for #1’s hair, but you can see it held her hair out of her face (thank goodness….her hair in her face drives me crazy) and stayed put until she took it out. We’ve been very happy with the bows and know they will be around for a while. One lucky reader will win their choice of 2 bows! Any two, you pick! 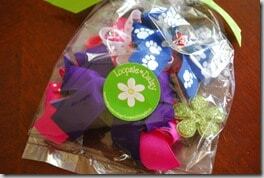 Head over to Loopsie Daisy Bows and let me know at least one of the bows you would pick. 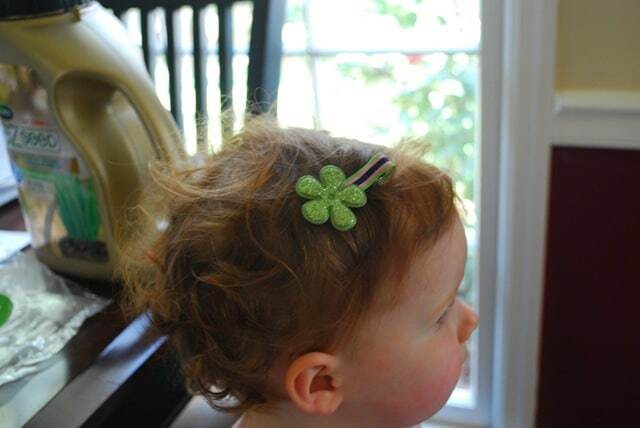 Favorite Loopsie Daisy Bows on etsy (leave username-3 entries). Like Loopsie Daisy Bows on Facebook and tell them Really, Are You Serious? sent you on their wall (1 entry). *Winners are chosen by random, so make sure you leave individual comments, not all in one! *Contest ends end by Wednesday, April 6th at 9pm EST. Winner will be posted shortly after. I received the bows shown to facilitate the review. No other compensation was received. As always, all thoughts and opinions are my own. LOVE LOVE LOVE the bows!!! Anya now has 4 of them and they ROCK!! Plus, Ann Marie is like the nicest of the nicest out there!! LOVE her! I’m all about the hot pink zebra! Summer Breeze Spike but they are all super cute! liked her on FB and told her that you sent me! 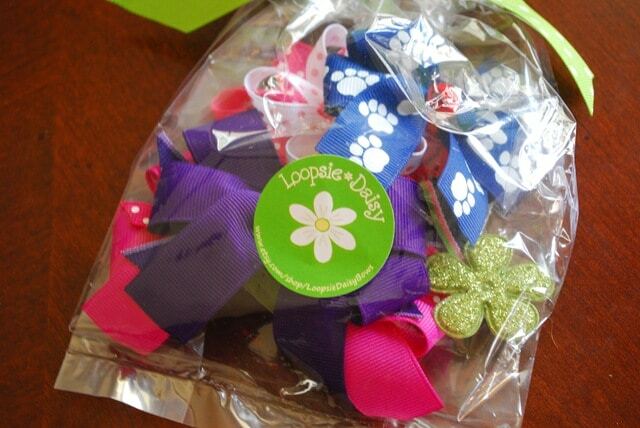 I love the Loopsie Daisy Bows!! My favorite is the Navy Paw Print Stacked Bow !! I love all the variety she offers. I would choose the The Very Loopy Caterpillar Barrette and You’re a Star Pony O! I just love the Big Sister Pink & Polka Dots Stacked Bow French Barrette!